Slipknot is releasing Day of The Gusano, a documentary and live show for their current .5: The Gray Chapter album cycle, on Blu-ray/CD, 2 DVD/CD, DVD/CD and special gatefold deluxe triple vinyl/DVD packages on October 20th via Eagle Rock Entertainment. Shot in high definition and directed by the band’s own M. Shawn Crahan, aka “Clown”, Day of The Gusano documents the Iowa band’s long-awaited and first ever show in Mexico City in December 2015. “Slipknot still has dreams for itself. Finally playing Mexico was one of them. It’s been a surreal life of rock and roll for Slipknot and the fact that the dreams still go on for us is simply incredible. Thank you,” Clown says of the project. “We had such a great time at Knotfest Mexico… Not only with all the friends and bands that were there, but with the fans and the crowd we had to document it with. Now we get to share it with the world,” states guitarist Jim Root. 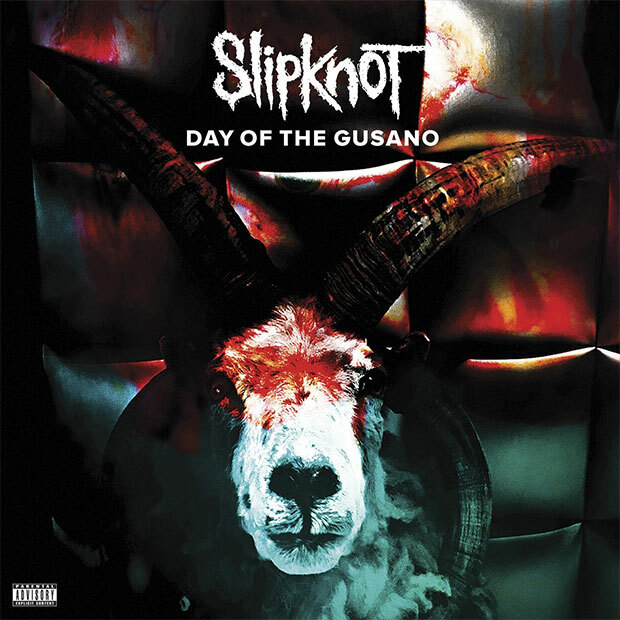 Day of the Gusano also chronicles the rabid devotion of the Mexican maggots — the band’s fans — and sees the band hearing personal, emotive stories from some of their fans, all interspersed with footage from Slipknot’s incendiary live show at the inaugural Knotfest Mexico. The film features a full surround soundtrack, so you’ll not only hear the show, but you’ll feel it as if you were actually there. The Deluxe Limited Edition 2 DVD and 3 LP sets include a 48 page book. Each is individually numbered and comes with a bonus DVD with the complete concert. To date, the band has been nominated for ten Grammy Awards (winning in 2006 for “Before I Forget”), as well as scoring 13 Platinum and 44 Gold record certifications around the world, 17 million unit sales and over one billion YouTube views to date. Slipknot’s fanbase is as unwavering as it is ubiquitous – the band’s most recent studio album, 2014’s .5: The Gray Chapter debuted Top 3 in the Official Album Charts of 19 countries around the world, including the US (#1), UK (#2), Japan (#1), Australia (#1), Russia (#1) & Germany (#2).